Teeth Whitening – we can offer our patients same day in-office teeth whitening or a multi treatment take-home option with the Zoom teeth whitening products. Veneers – veneers can be used to change the colour, size, shape, or length of a tooth. Bonding – bonding can help restore the appearance of chipped or cracked teeth. Crowns – a crown covers the entire tooth surface restoring the integrity and appearance of a damaged tooth. Bridges – bridges are natural looking artificial teeth built to fill the gaps where multiple teeth are missing from a patient’s mouth. Dental Implants – implants offer our patients permanent replacement of a tooth or multiple teeth. Invisalign® – Invisalign® clear aligners straighten and realign teeth, realignment can correct bite issues and provide relief from jaw pain. 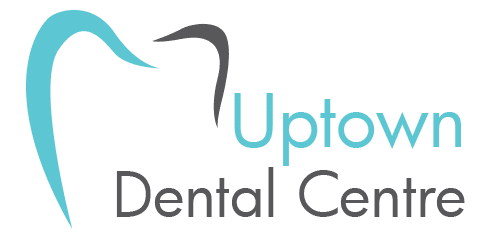 To learn more about Cosmetic Dentistry and what we can offer you at Uptown Dental Centre, call us today to schedule an appointment. All dental services provided by a general dentist.